After winning a scholarship to music college I have earned my living as a professional flute player in a variety of orchestras and have had pupils win national competitions and win scholarships to music college and also become professional flute players. I have now set up my own private teaching practice where I can prepare flautists up to any of the diploma levels or help with entry to music college. However, beginners are also welcome, as are children or adults with special needs as I believe everyone has the right to enjoy music and to suceed to the best of their own potential. 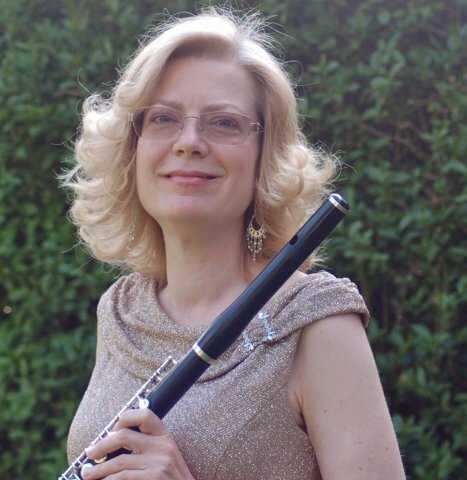 I have taught in English and Spanish to all levels and ablilities- to professional flute players, to children with autistic spectrum disorders or with hearing and visual impairments for over 30 years. As long as you have a wilingness and enthusiasm to learn, I can teach you! It helps greatly if you have a commitment to practice, as lessons by themselves do not effect change and it is preferable for us both that they do not just become a supervised practice session. You will find me enthusiastic, reasonable and prepared to try various means to maintain your enthusiasm an interest.